How do I buy a GoliathTech Corp Franchise? 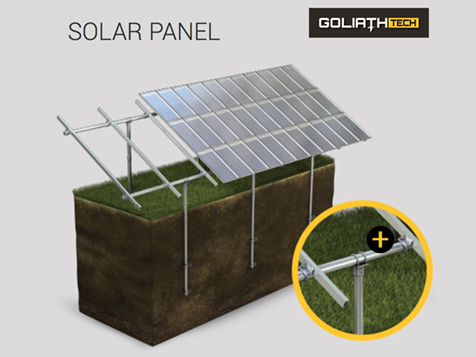 GoliathTech is more than a group of installers. They are the pillars of projects. 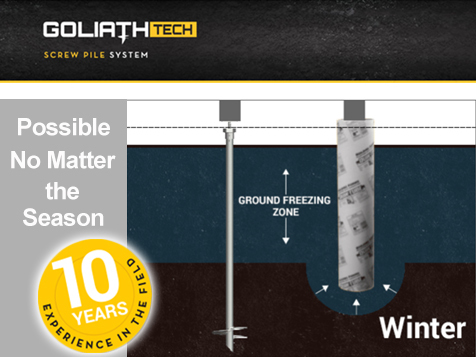 For more than 10 years GoliathTech has offered the best screw piles on the market and now they are expanding. What are screw piles you ask? Screw piles are made from galvanized steel and guarantee a solid structure. 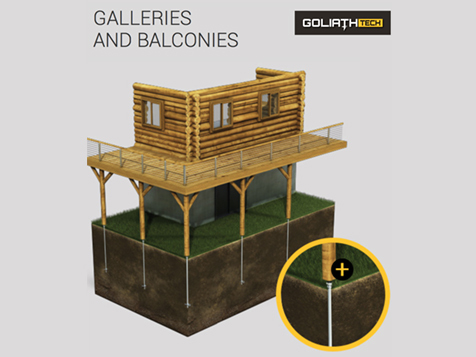 Globally, screw piles are replacing sonotubes, posts and concrete that were used to secure a deck, fence, balcony, among many other structures. Open GoliathTech Corp in any of these available states: AL, AK, AZ, AR, CO, CT, DE, FL, GA, HI, ID, IL, IN, IA, KS, KY, LA, ME, MD, MA, MI, MS, MO, MT, NE, NV, NH, NJ, NM, NY, NC, ND, OH, OK, OR, PA, SC, SD, TN, TX, UT, VT, WA, WV, WI, WY, DC. 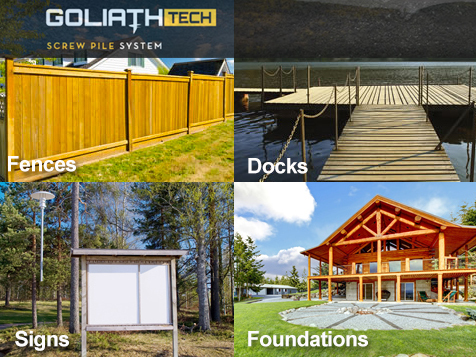 GoliathTech is more than a group of installers. They are the pillars of projects. 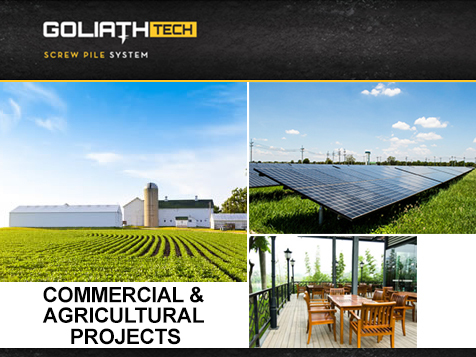 For more than 10 years GoliathTech has offered the best screw piles on the market and now they are expanding. What are Screw Piles You Ask? Screw piles are made from galvanized steel and guarantee a solid structure. 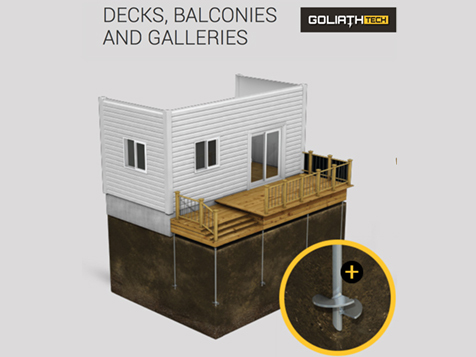 Globally, screw piles are replacing sonotubes, posts and concrete that were used to secure a deck, fence, balcony, among many other structures. Resembling a large screw, screw piles are installed deep into the ground, beneath the ground freezing level, to solidly support the project. This is an advantageous alternative to form tubes and is less expensive than concrete foundations. Screw piles are easy and quick to install without excavating. 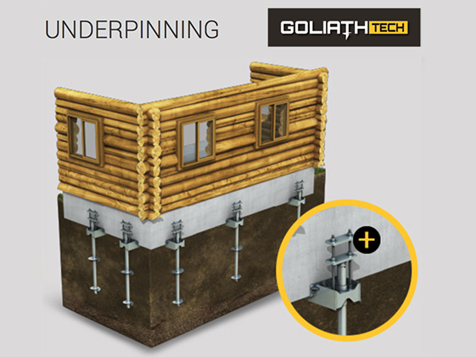 From design to installation, GoliathTech combines engineering and innovation to guarantee a solid foundation that surpasses the highest industry standards with its products. The range of products include tubes, helices and pile heads made of galvanized steel which are lined with polyurethane for double protection to lengthen the life of the screw pile and protect it from ice accumulation. Nut fastening system: uses an exclusive GoliathTech signature anchoring system that ensures stability and prevents joints from bending or wobbling. Our certified installers are fully trained and use cutting-edge equipment to guarantee optimal anchoring of each pile. Become the screw pile specialist in your area today! GoliathTech Corp is not currently active in our directory, but here are some other recommended selections for you to explore.